This can create a last-minute rush and you will often have an inflow of funds heading into the market right around and on April 15th. Fund managers will often put this money to work immediately and it creates a positive bias for the market. 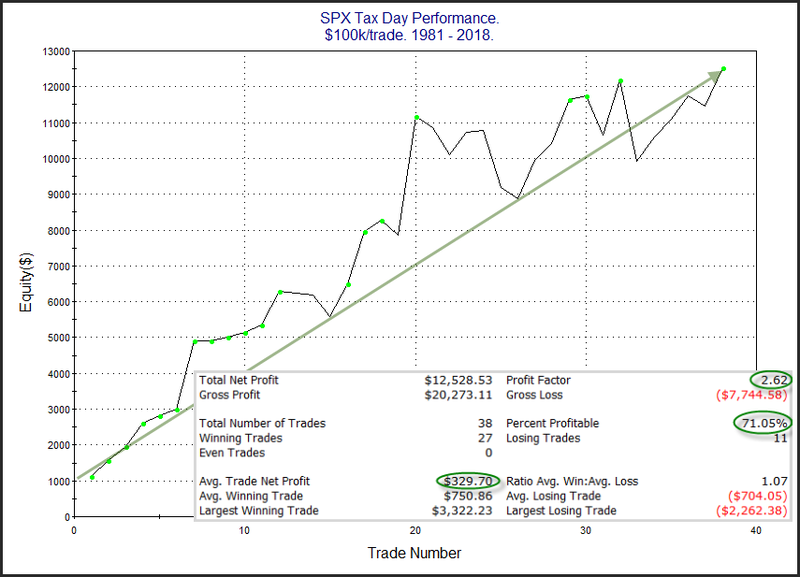 Below I have updated the study and included a profit curve.